What is lacking in most discussions around AI, machine learning and other intelligent algorithms is how they can help solve people's problems. Any team that is working on hard, meaningful, and purpose-driven problems could benefit from AI/ML, but without the right focus you may end up building toys. During the workshop, you will go through Empathy Mapping for the Machine exercise for a current topic: self driving cars. Chris Butler will guide you through the process so you can use it with your teams afterwards. This workshop is for data scientists, engineers, designers, product managers, executives, and stakeholders to build alignment without using AI jargon. Teams that are being asked to “do something interesting with AI/ML” will finally have an answer. Pizza & soft drinks will be provided! Chris Butler (chrisbutler@philosophie.is) helps teams understand the real business problems they should solve with AI-centered solutions. The teams we work with are generally asked to “do something interesting” with the data they have. We help them avoid local maxima through happenstance correlations and focus on solving huge business problems. Chris’ background includes over 18 years of product and business development experience at companies like Microsoft, KAYAK, and Waze. At Philosophie, he has created techniques like Empathy Mapping for the Machine and Confusion Mapping to create cross-team alignment while building AI products. If you want to learn more or get in touch, visit our website. We work with visionary entrepreneurs, who we find inside the enterprise, governments, non-profits, and of course, startups. Our clients are trying to bring about a better future, and we accelerate that process though open conversations, collaborative ways of working, and most importantly, quickly making and testing things. 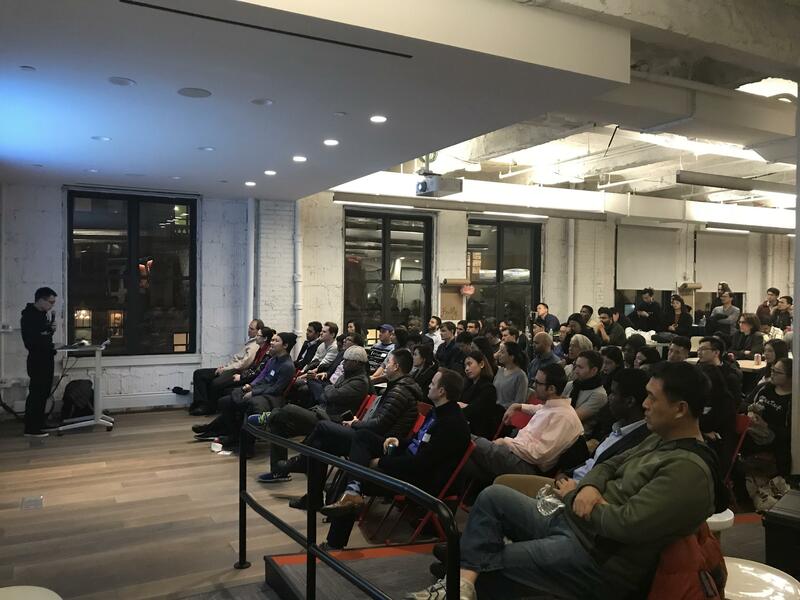 Maryam Farooq is the founder and director of New York Artificial Intelligence (NYAI), a technical community that meets monthly to learn & discuss trends in artificial intelligence and machine learning (nyai.co). She also serves as the Director of Client Experience for Machine Colony - a NY-based AI company that works with governments and large enterprises to help them adopt machine learning at scale (machinecolony.com). Previously, Maryam worked for a several tech start-ups in business development, product consulting, account management, and special projects. Capital One Financial Corporation is an American bank holding company specializing in credit cards, home loans, auto loans, banking and savings products.